The organisation is seeking to recruit non-executive members to serve in a voluntary capacity on IkamvaYouth’s Board & Subcommittees and to be custodians of IkamvaYouth’s work, impact, sustainability and values by actively participating in the organisation’s governance and leadership. As part of the board, you will provide strategic direction to IkamvaYouth by adopting strategic plans; determining policy and processes; ensuring the integrity of IkamvaYouth’s risk management and internal controls; monitoring operational performance and management. Directors must ensure that they have the time to devote to properly carry out their responsibilities and duties to IkamvaYouth. Annually revising and approving, in consultation with the Executive Management Team IkamvaYouth’s strategic objectives for the year ahead. Monitoring progress of IkamvaYouth towards achieving the objectives of IkamvaYouth’s current strategic planning. Monitoring the activities of the Executive Director and executive to ensure that the operational policies are being followed in accordance with the constitution. Engaging in decision making around policies that have a financial implication for the IkamvaYouth and expenditure to ensure that the constitution is being adhered to in the implementation of the activities of IkamvaYouth. Sitting on one of the Board Sub-committees; Human Resources and Governance Committee (HRGC) or Audit, Risk and Sustainability Committee (ARSC). Marketing IkamvaYouth to potential donors. Exercising leadership, enterprise, integrity and judgement in directing IkamvaYouth so as to achieve continuing impact and sustainability for IkamvaYouth. Acting independently of any outside fetter or instruction. The board meets four (4) times per year for 3 hours; at least once every three (3) months and at the written request of any two members of the Board. The subcommittees also meet four (4) times per year for 2 hours; at least once every three (3) months and a written request. A minimum of 2.5 hours to prepare for each meeting by reading and engaging with the meeting pack. To apply, please send a statement of interest/motivation and your detailed CV to Amanda Luyenge: amanda@ikamvayouth.org . For any other enquiries, please contact Amanda Luyenge on 021 820 7444. 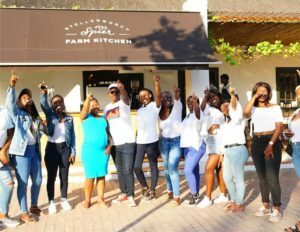 Cindy Mkaza-Siboto(in blue), Emagqabini Education Academy co-founder, with her class of 2018 learners celebrate an 83% matric pass rate. IkamvaYouth’s Community Collaboration Programme (CCP) partners have achieved an exceptional 91% matric pass rate, with 58% bachelor passes and 21% diploma passes (79% tertiary eligibility). Twelve organisations in the Western Cape and Gauteng provided academic and extracurricular support to over 200 matrics in 2018. 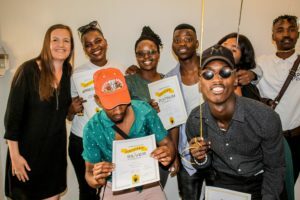 The motto “achieving against all odds” has been embodied by the changemakers in the after-school sector, in efforts to assist youth to reach their greatest potential. Without a doubt this is exactly what the partners in the CCP lived up to! 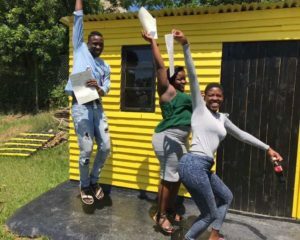 We are very pleased to share that three of our implementing partners Bokomoso Education Trust, Mamelodi Initiative and Boys and Girls Club – Protea Glen have achieved a 100% matric pass rate! In collaboration with The Learning Trust (TLT), IkamvaYouth established the CCP in 2014. The programme provides training, support and space for peer-to-peer learning to social entrepreneurs running tutoring programmes. Out of 14 organisations supported in 2018, 12 had grade 12 learners enrolled, namely; Beautiful Gates, Sozo Foundation, Just Grace, Emagqabini, Boys and Girls club Pimville and Protea Glen, Phakamani Young Minds Academy, Bokamoso Education Trust, Refilwe, Yakha Ikusasa Manje, Mamelodi Initiative and The Assist. In 2019 IkamvaYouth will be working with 18 partner organisations across Gauteng and Western Cape. Nonceba Mtwana, National Coordinator for The learning Trust was equally thrilled by the success of the CCP partnership, she said: “We have seen value in the combination of both programmatic and organisational support for embryonic community based organisations. These organisations fill a real need in our communities where learners are faced with multi social challenges that limit their academic success. The trajectory of success in these organisations has been impressive”. A big thank you to all our supporter and partners, who continue to make it their responsibility to transform the lives of many marginalised youth, through equipping them with quality education! 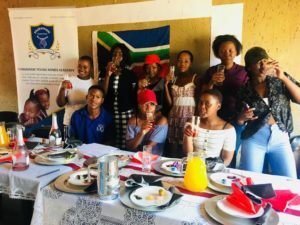 Phakamani Young Minds Team with the 2018 matric learners celebrating the success of the learners achieving 88% pass rate. Finally, we have reached the last academic term of the year and after all the hard work from our learners, volunteers and staff, this is a very special time designated to celebrate the commitment and the value of paying-it-forward demonstrated by our volunteers! Our Western Cape region recently held its tutor appreciation event and what an honour it was to have all our regional volunteers in one place and shining the light on the amazing work and impact they have achieved this year – which certainly doesn’t go unnoticed. Scores of over 130 volunteers were in attendance and even our Executive Director, Lungile had the pleasure of meeting these amazing and talented tutors, who are the heart of IkamvaYouth! “I am honoured to lead a vibrant army of young people who are banging the drum of change; one maths question at a time! Our army of tutors give their time voluntarily – as one of our volunteers said recently: ‘we need to build each other up in order to move forward as one’”, she said. At IkamvaYouth, we love and value our volunteers, whose commitment makes our programme sustainable. Every year our volunteer support saves the organisation over R6m. 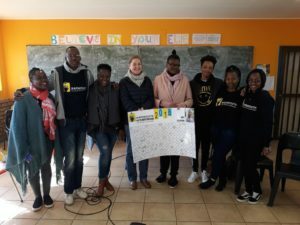 Our volunteers, many of whom are previous learners, who have transformed from beneficiaries to benefactors have been trained to be able to deliver an effective tutoring programme which ensures that our learners succeed academically. Throughout this year, tutors worked in small groups and provided academic support to our learners who brought in work that they are struggling with to the tutoring sessions. 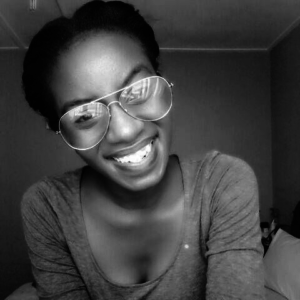 IkamvaYouth’s volunteer tutors, certainly play a much more bigger role than just tutoring; as they deal with students from similar and different backgrounds. They build strong, personal relationships with each learner and this is always visible at tutoring sessions. At the event, certificates were awarded a few of the many exceptional tutors who generously donate their time. Their high level of commitment and engagement that contributes to the success of our vision and mission was illuminated in their high spirits. The awardees included: Inganathi from our Nyanga branch, who took home the highest tutor attendance award; while Marilee from our Atlantis branch and Thembisile also from Nyanga, received long service awards. The top achiever of the evening was Doctor – who tutors at the Kuyasa Branch, he was crowned the best tutor, this award was voted for by learners and other tutors. Without your support and that of our volunteers, we would not have had the opportunity to assist over 2,000 learners at the 17 IkamvaYouth branches, to reach their academic goals and get into post-school institutions – ensuring more young people are set on the path to earning a dignified living.